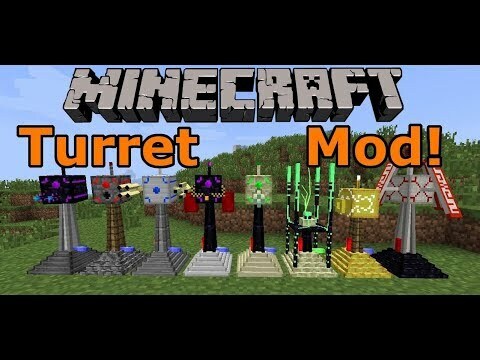 Turret Rebirth mod adds a bunch of defense turrets to protect whatever valuable. 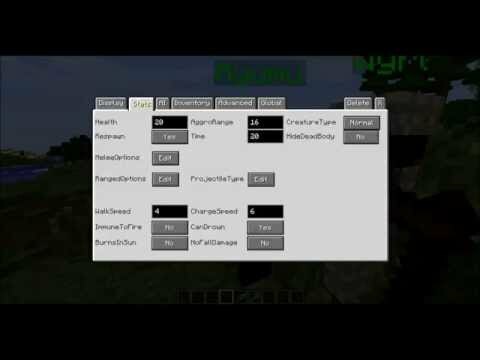 Ever bothered by Creepers blowing you up? Let them get shot in the face with a shotgun. Too many zombies chasing your villagers around? Let them know they’re not welcome with arrow shooting defenses, guaranteed to hit some knees as well. Not only does it add turrets, but also everything you need to operate them, like custom ammunition, repair kits, upgrades and more. This lil’ fella will tell you the story of our people all you need to know about them turrets and their items. 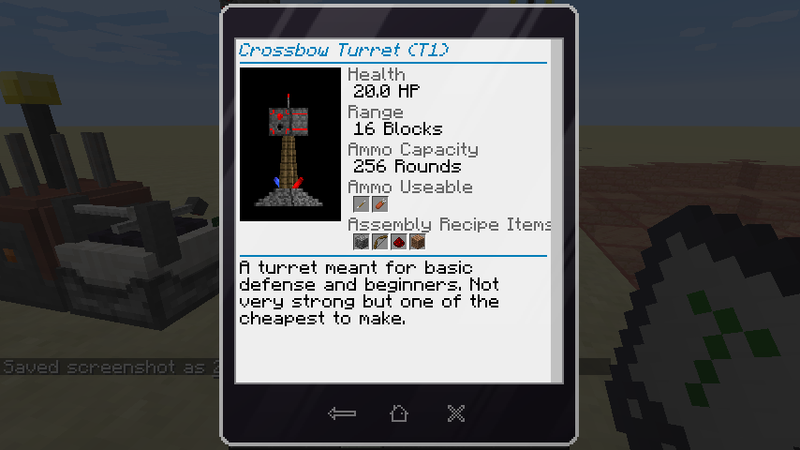 It will aid you on how to craft things, what ammo to use for turrets and what each upgrade does in quite detail. You can craft one yourself or assemble it with the Assembly Table. The Assembly Table is an essential block if you want to get started on the Mod. 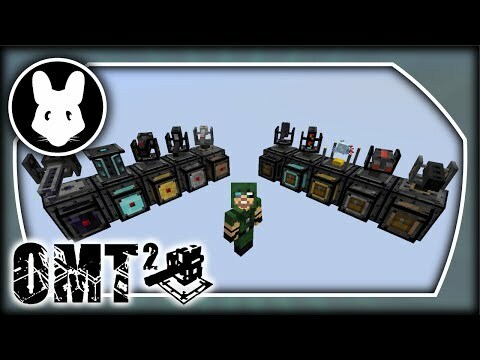 It will craft anything except itself and the power generator and can be upgraded as well with a couple of upgrades like an automation upgrade, a speed upgrade and a filter. 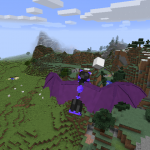 In order to get items in and out of it, you can do it either manually via the GUI or use any item transfer device you got handy, like hoppers. 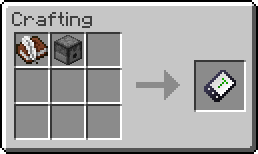 The only stuff you’ll need in order to craft something is power (Redstone Flux) and the appropriate items. You now probably wonder how on earth you can get the power to the people get the assembly table working. Look no further! 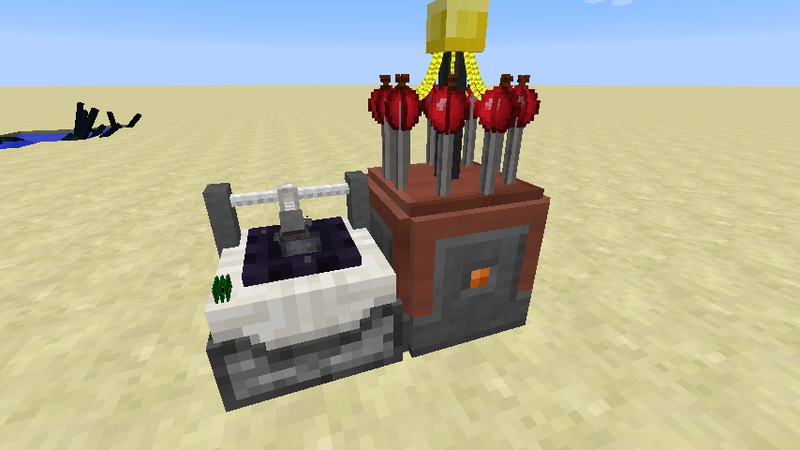 The Electrolyte Generator harnesses the energy from acidic or alcalic foods and turns them into Redstone Flux power you then can transfer into the assembly table. To do so just place it next to the table and you’re good to go! If you have any form of energy transfer you can use that as well. Make sure to clean the generator out of the waste products it will inevitably create, as too much trash will clog up the system and it will not generate anything anymore. It also supports external means of item transfer: Input on the sides and output from the bottom. 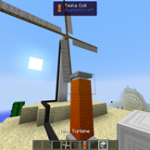 The generator has 9 slots the food goes into; The more slots are filled, the more efficient the generator gathers power from each item. Also different foods have different effectiveness values! Before you go off and assemble some turrets, make sure you grab one of these as well! 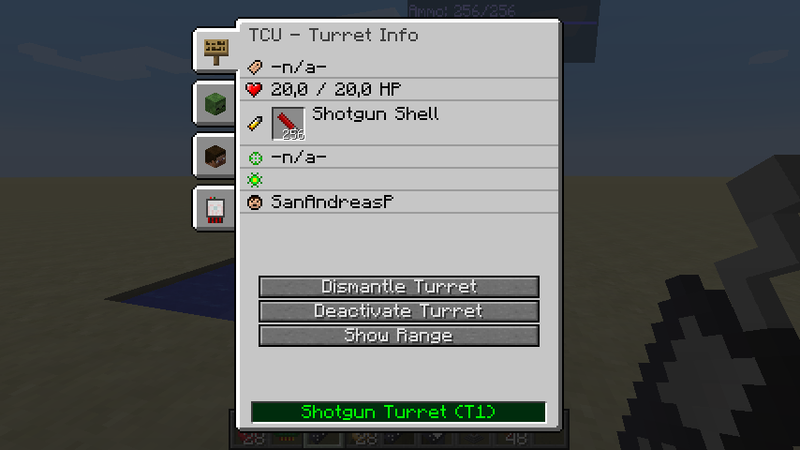 The Turret Control Unit (or TCU for short) provides you with the control capabilities to set up your turrets properly. When held you can read some basic stats of a turret when pointing at one. Right clicking a turret shows a GUI in which you’re shown additional details from the turret. 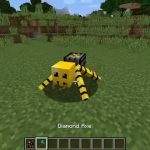 But not only that, you can also control which entities or players the turret should attack and take out unwanted upgrades. It also gives you the ability to disable or safely dismantle a turret. Those turrets are pretty basic and weak, but make for an ideal low-cost defense for beginners or outposts. Their range usually evolves around 16 blocks. These turrets sport more health and more DPS. That’s about it. If you have some iron to spare, those turrets are possibly an ideal use for it. Their range evolve around 20 blocks. 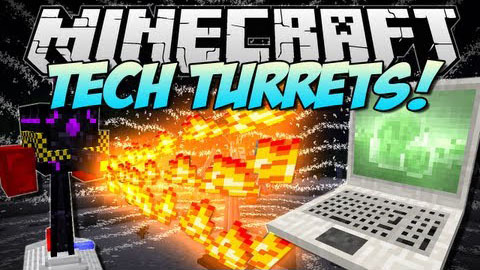 If your defense is in need of support try those turrets! They won’t do any damage themselves but aid your other turrets in different ways, like slowing down targets. Their area of effect varies with each type of turret. 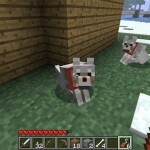 Most of them are even weaker than the T-I-Turrets, so make sure you don’t let them get attacked easily. 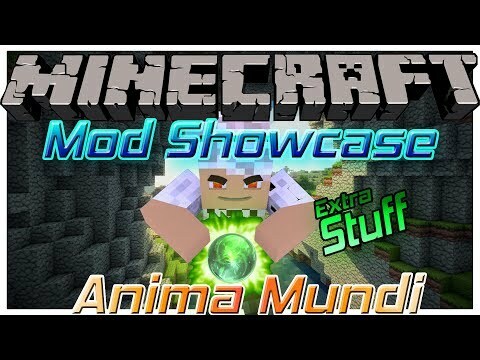 Please note that this mod is alpha! There will be more turrets during the development time! Turrets need something to shoot, obviously. Ammunition can be crafted in the assembly table, where most ammo types even have packaged versions to give more than one round. In order to give a turret the ammo, just right-click while holding the item in the hand, it’s as easy as that! Don’t worry about overfeeding the turret, as it will only take what it needs. Some turrets have different ammo types they can accept. If one turret has, for example, type 1 loaded and you want to switch it to type 2, just right click the turret with type 2 in your hands. 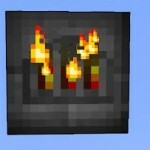 The turret will then spit out the old type and take the new type, ready to fire it to the next enemy it encounters. Your Turret got damaged by a skeleton? Then you either need to build a new turret and replace the old one, which is just waisting resources, or you craft one of those repair kits. If you right-click a damaged turret with it, the turret will restore health. The amount restored depends on the type of repair kit. Keep in mind the turret won’t accept kits which provide more health than the turret is missing. Some repair kits provide additional effects for a short period of time. Upgrades provide a quick and easy way of improving a turret. Whether you want to increase a turrets health or decrease the reload time, there’s probably an upgrade for that. 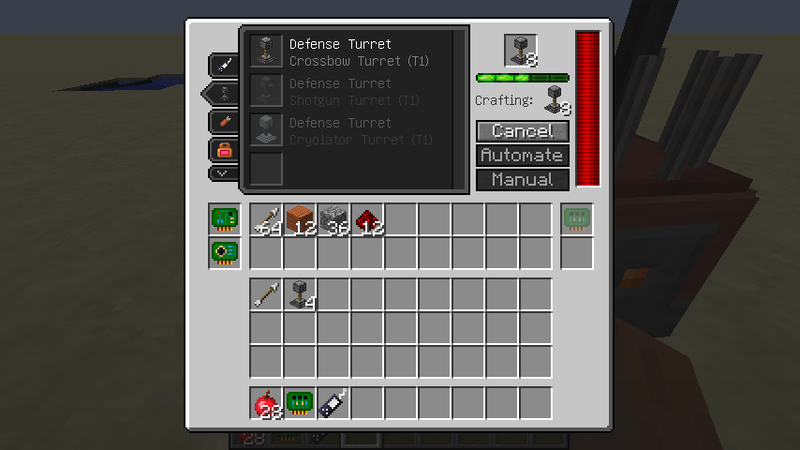 Like with any other item, you give them to a turret via right click. Alternatively, or to take them out again, use the TCU. 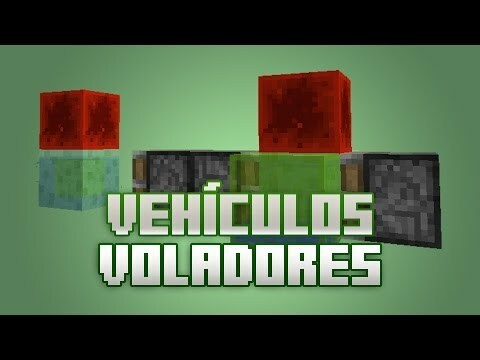 Openmodularturrets: the basics & tiers 1-2 - minecraft..
Crazy ores mod 1.7.10,1.6.4 i crea mas goldems que nada i aira..
Minecraft 1.8 [tutorial] vehículos voladores [airship with..